Located on a narrow strip of coast between hills and the Adriatic Sea, the white-stone capital of Croatia sits protected by turrets and towers. A former city-state, Dubrovnik thrived on the wealth of merchants and ship builders, and has a rich culture. It has an impressive culinary presence. These ten restaurants are among the best in the country, serving fresh fish and succulent meat dishes with stunning views of the Adriatic Sea. For those feeling adventurous, why not hop on a boat to escape the hustle and bustle of the city? Villa Ruža is waiting to serve diners on an island just west of Dubrovnik. This island, known as Koločep, is one of the three Elaphite Islands. Matching the stunning surroundings, the restaurant is a romantic spot, in fact it was built in 1930 as a symbol of love from a merchant to his wife. Rising out of the entrance of Donje Celo Bay, this restaurant offers delicious Mediterranean cuisine, courtesy of owner and Chef Ruđer Jelavić. Villa Ruža is only open during the warmer months of May until October. Visit to enjoy the stunning views. 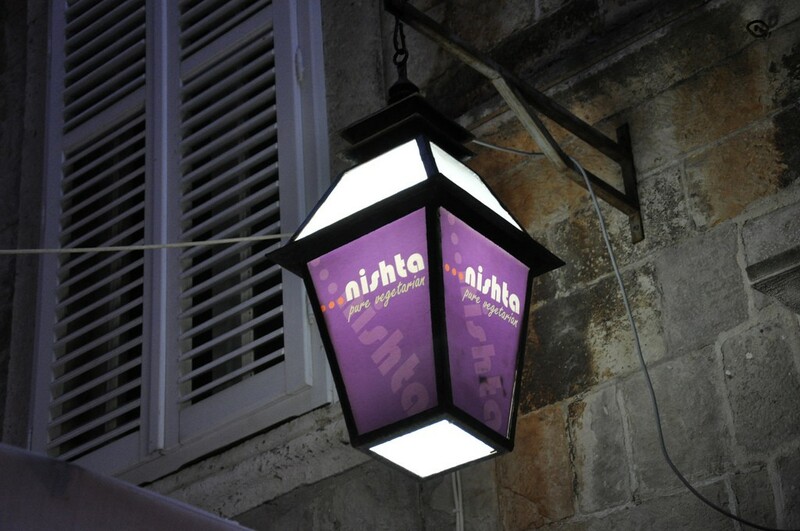 Located on one of Dubrovnik’s charming streets in the Old Town, this restaurant offers diners a degree of privacy and seclusion. Dalmatian elegance exudes from this restaurant and the menu effortlessly blends old and new styles of Mediterranean cuisine. Regarded as one of the top class restaurants in the city, Restaurant Dubrovnik allows diners to step back in time and enjoy their meals in medieval surroundings, see the tiny streets below from the pleasant rooftop terrace. Gusta Me is the place to visit in order to try handmade Croatian wines, seasoned dishes with fresh ingredients and sensational views of the old harbor and the Revelin Fortress. The restaurant has a terrace for those wishing to enjoy the outdoors, and the menu includes a selection of sumptuous steaks, fanciful fish options and wonderful wok dishes. There are also various vegetarian options available. Gusta Me offers a selection of healthy breakfasts, light lunches and romantic dinners that caters to all tastes. A dream for vegetarians and non-vegetarians alike, Nishta offers high-quality, reasonably priced vegetarian food. Located in the Old Town, it stands out in a city with many seafood restaurants. The restaurant specializes in conjuring mouthwatering flavors to bring out the essence of each meal, whether you seek salads, soups, samosas or even veggie burgers and falafel. Toy animals adorn the restaurant, complementing the Southeast Asian theme. Nautika is a world-class restaurant which lives up to its fantastic reputation. Head Chef Mario Bunda’s dishes are carefully prepared with utmost attention. The seafood is so fresh it’s almost water-to-plate. Nautika is known for delivering high standards of service, VIP guests include Pope John II and members of the Japanese and Norwegian royal families. Diners can sample pureed fish ice cream cones on terraces at the edge of the Adriatic Sea. Open since 2002, Levanat has been steadily building up a regular clientele, and has received rave reviews from tourists and locals alike. As the venue is located on the Lapad peninsula, dining at Levanat can be a sunny, breezy beachside experience, full of the joys of a holiday in the Mediterranean. The menu consists of refined Dalmatian dishes and local Dubrovnik cuisine and customs, excitingly combined. As well as supplying a number of fresh seafood dishes, diners will be tempted by cheese and honey combinations, exotic meat dishes and delicious desserts. Slightly off the beaten track, this restaurant offers stunning views of the Bay of Lapad and the islets Grebeni and Sv. Adrijia. While taking a gastro-journey through the streets of Dubrovnik, there are many different options available. In a beautiful location near the sea, and right under the city walls, diners can enjoy budget-priced cuisine at Lokanda-Peskarija. Don’t be fooled by the low prices, the seafood is fresh and good quality. Popular with tourists, get there early to guarantee a seat, unless you wish to take advantage of the fabulous outdoor terrace. This historic and highly praised restaurant offers some of the finest seafood in the city. In business since 1886, Proto underwent renovation in 2002 to further enhance the dining experience. The restaurant started out serving fish specialties prepared according to old recipes, which were handed down by Dubrovnik fishermen. These secret dishes have remained intact to this day. Fine seafood and high-quality service define Proto. For those seeking alternatives to fish and meat, vegetarian options are also on offer, including the delicious vegetarian stuffed eggplants, baked and drizzled in melted cheese. This beautiful restaurant offers diners the chance to dine on fresh seafood in luxurious a sea-front setting. Located on the Lapad peninsula in Orsan Marina, the restaurant is near a yacht club and has a terrace offering impressive views of Gruž Port. Portions are generous and the terrace offers the best views, so it is best to get there early or book in advance. A selection of local and international wines and other beverages complete the seafood menu at Orsan. This delectable oyster-sushi bar caters to the increasing public demand for sushi. 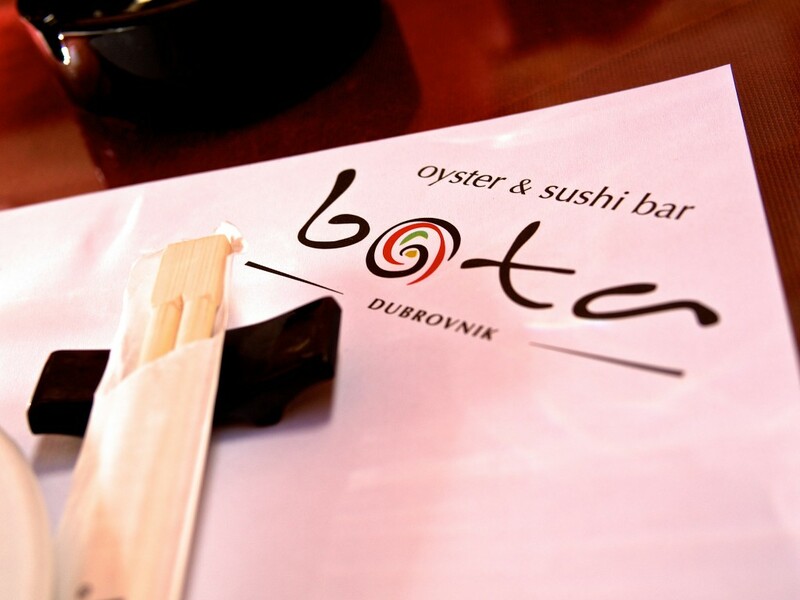 Oyster & Sushi Bar Bota is located right in the heart of Dubrovnik’s Old Town, next to the cathedral. It offers delicious, fresh sushi and oysters at affordable prices. The interiors exude an East-meets-West character as European architecture and simple Japanese designs merge. This is the perfect venue to visit while exploring the ‘Pearl of the Adriatic’, be it for a snack, light lunch or evening meal.